If you are thinking about having a fence installed on your property, you have probably considered the different types that are available. You might like the look of wood, but you are also considering the durability and upkeep. Naturally, people want something that is as easy to maintain as possible and long-lasting. Steel or wrought iron can provide these benefits and more. Steel is one option that has become much more affordable in the past few years. You may pay a little more for steel or wrought iron, but the return on your investment is worthwhile. If you have ever driven by a home that has this type of fencing and gates, you have probably noticed that it offers a very attractive look. A company that offers corten steel gates is Studio Vlock. Steel and wrought iron both hold up to the elements very well. Wrought iron can be easily maintained by applying a primer than inhibits rust. Steel is generally galvanized and powder coated to prevent rust from forming. Washing the fence a couple of time a year is recommended. Metal fencing and gates are not susceptible to insects, such as termites, and they do not fade from UV rays. 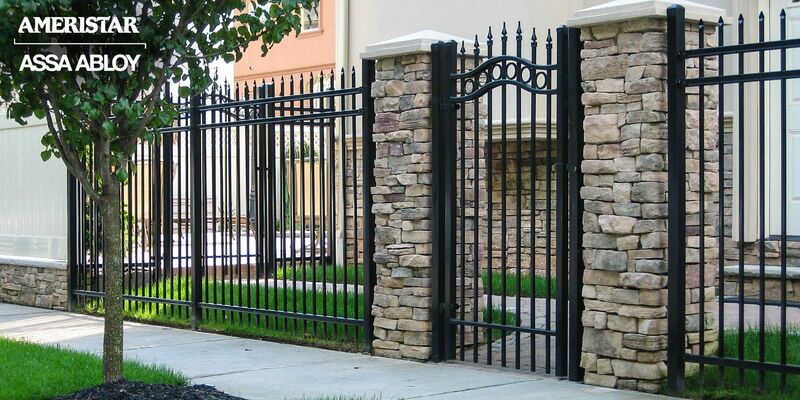 Steel and wrought iron fencing and gates provide a high-level of security. Since they cannot be as easily broken as wood, they are often chosen by people with children and pets. The height can deter people from trying to climb over them. They offer an open look that adds to the aesthetics of your property while providing the security you need. Metal, such as steel or wrought iron, can be shaped into many different designs. If you have a theme that you want incorporated into your gates, virtually anything can be achieved from plants to animals or initials. While offering a classic look, you still have the strength, durability, and usefulness of fencing and gates that will last for many years.